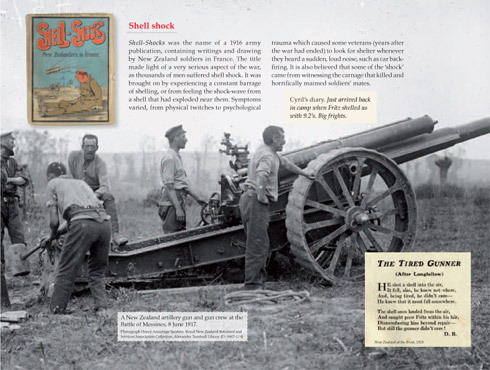 Graphic novel or illustrated history book; this is one Kiwi soldier's experience of life in the Great War, from training at Trentham to the trenches of Flanders and the battle of Messines. Nice Day For A War is one part war comic and two parts history. 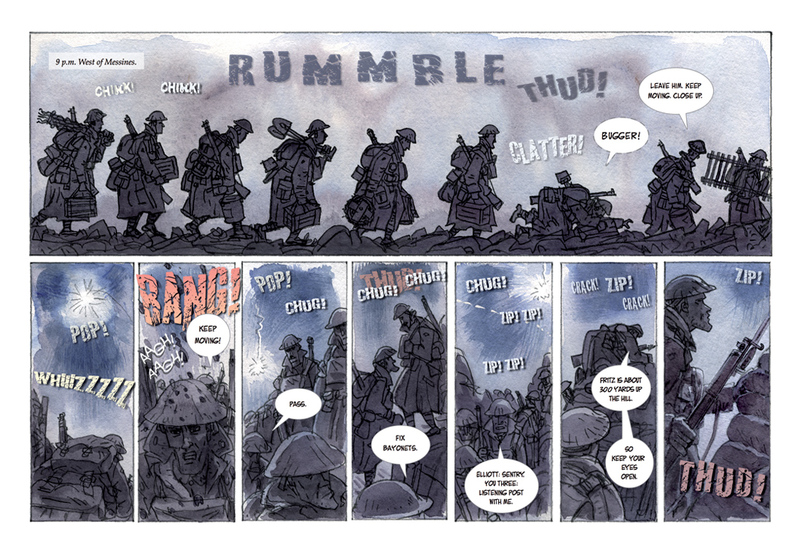 Cartoonist Chris Slane and author Matt Elliott have collaborated to create a highly visual book based on the war diaries of Elliott's grandfather, Corporal Cyril Elliott. It features never-before-seen ephemera from Cyril's time as a soldier, as well as official histories, contemporary writings, cartoons and art created in the trenches by soldiers themselves. Postcards, photographs, letters home, news reports, statistics and other original documents enhance this factual account of a Dink's war service. 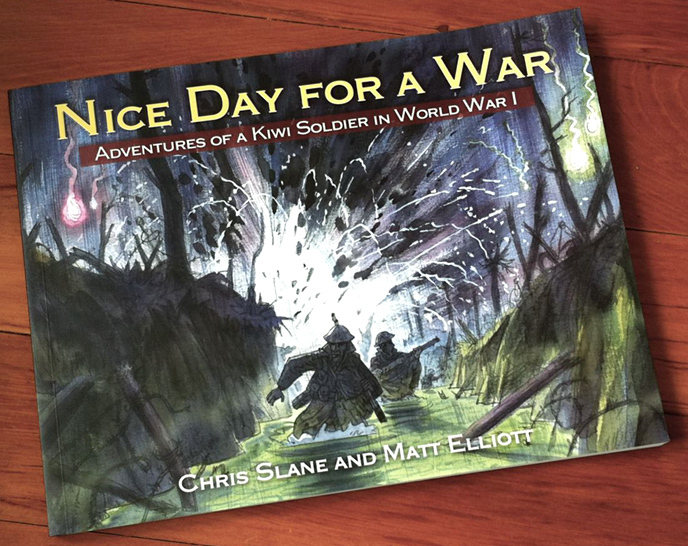 NICE DAY FOR A WAR: ADVENTURES OF A KIWI SOLDIER IN WORLD WAR I. Purchase signed copies or original watercolour art here. 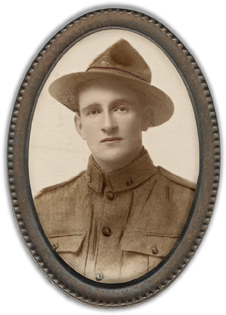 Cyril Elliott was a teenager when he enlisted to fight in World War I, lured by the idea of exciting travel and adventure. What he found was quite different. 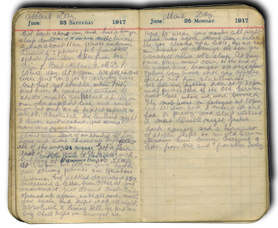 But misery and terror were made easier by Kiwi humour, mates, and writing in his diary. Cyril Elliott spent three years overseas with the New Zealand Rifle Brigade in World War I, and fought and was injured at the Western Front. He wrote of his experiences in his diary every day. Matt’s father still possesses two of Cyril’s war diaries, as well as postcards sent and received from home.